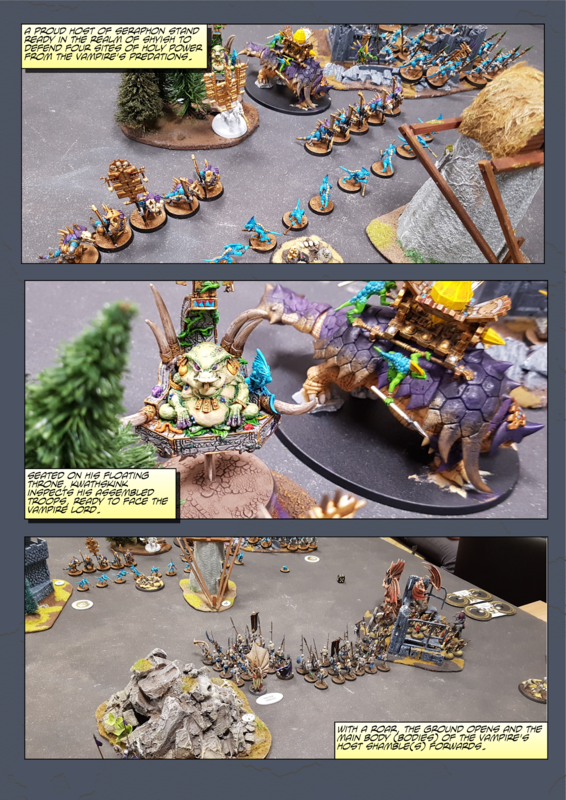 With all the holidays coming to a close I had a chance to play the second part of my three part Age of Sigmar campaign. 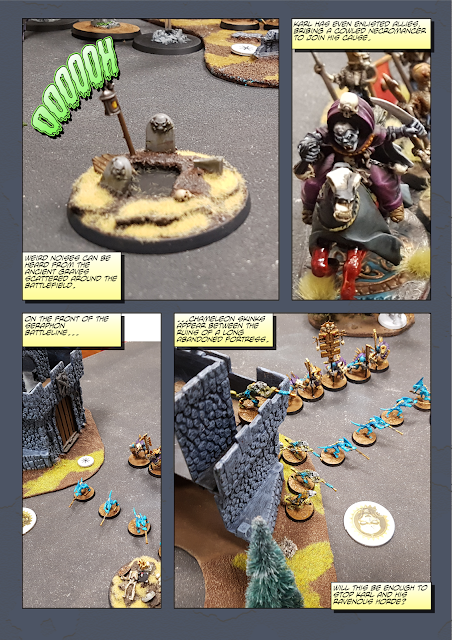 The scenario for this one was The Barrowfields from Malign Sorcery (p. 54). 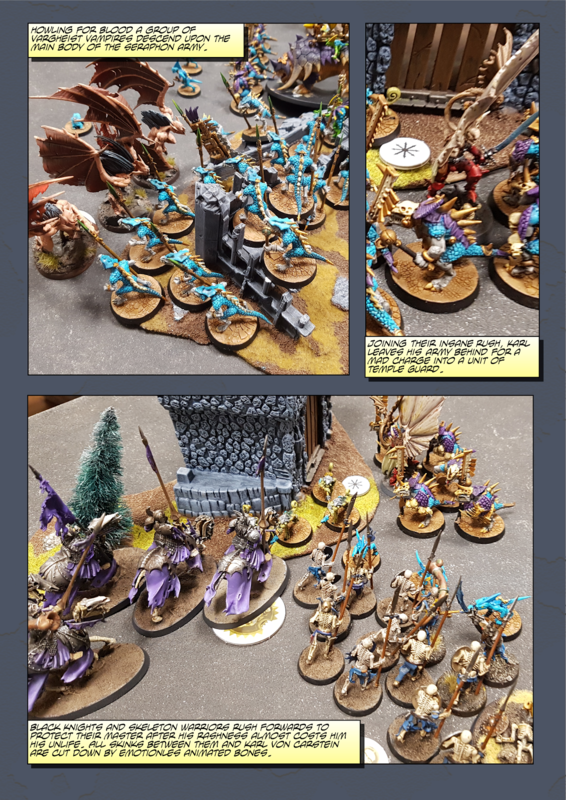 My Legion of Blood had to perform as many rituals as possible to discover the location of a hidden Seraphon base. 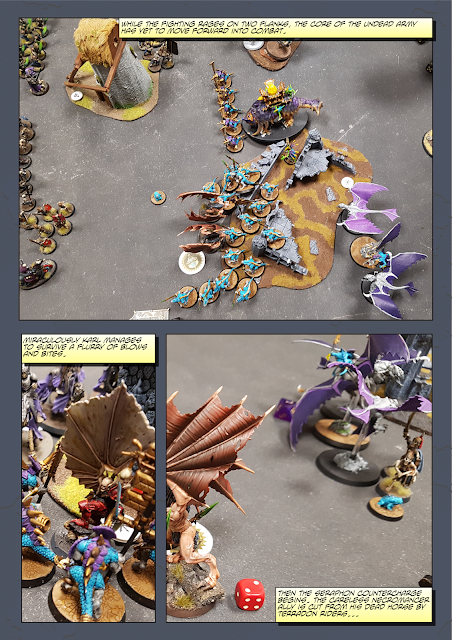 A risky endeavor as failure would point the Seraphon straight at my own home base. 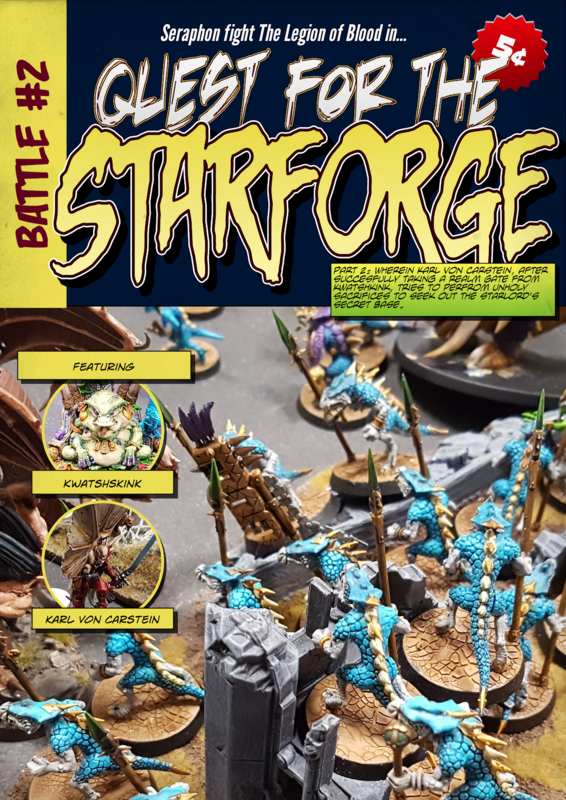 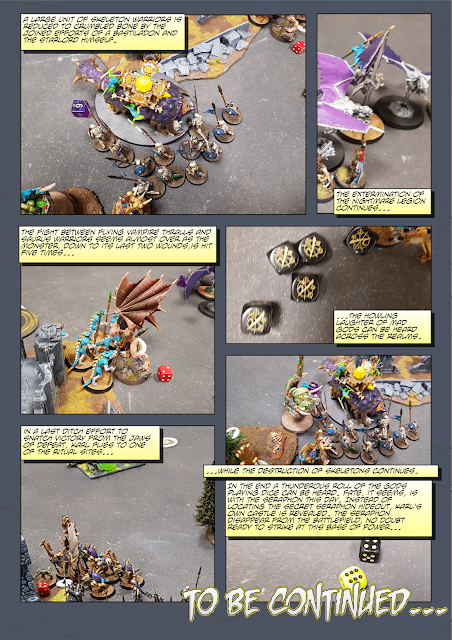 It was a nice clash, that due to time constraints had to be decided with a role-off...You can read how it all went down (more or less) in the comic below, also available as a PDF here.